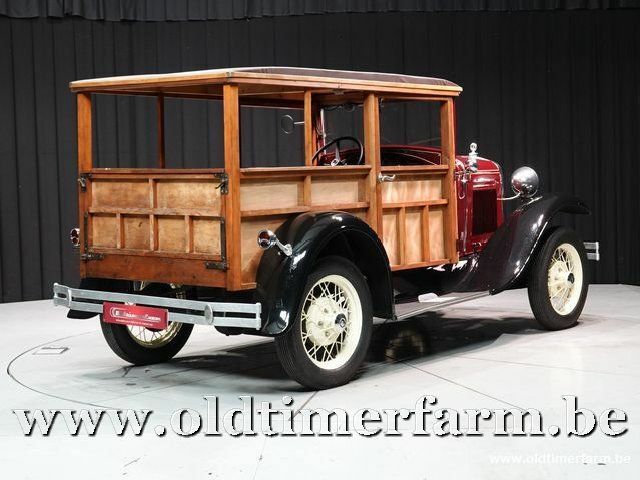 This Ford A was rebuilt with a new wooden structure. 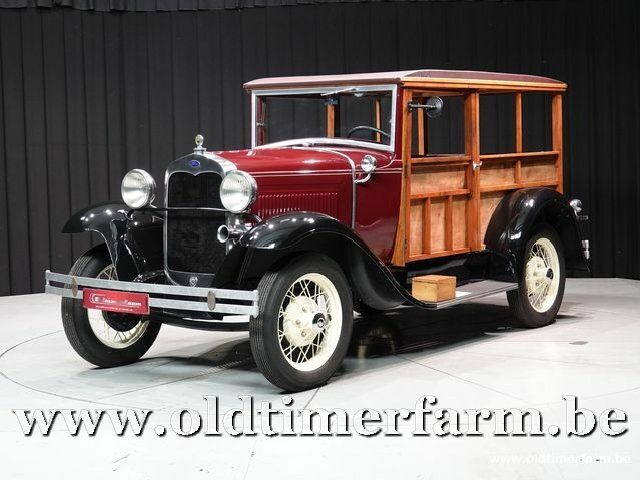 The Ford Model A of 1927–1931 (also colloquially called the A-Model Ford or the A) was the second huge success for the Ford Motor Company, after its predecessor, the Model T. First produced on October 20, 1927, but not sold until December 2, it replaced the venerable Model T, which had been produced for 18 years. This new Model A (a previous model had used the Model A name back in 1903–1904) was designated as a 1927 model and was available in four standard colors, but not black. The Model A was produced through 1931. When production ended in March, 1932, there were 4,849,340 Model A's made in all styles. Its successor was the Model B, which featured an updated 4-cylinder engine, followed by the Model 18 which introduced Ford's new V8 engine. In the teens and early twenties, Ford Motor Company ruled the automotive marketplace, with its Model T. However, during the mid-twenties, this market dominance quickly eroded as competitors such as General Motors caught up with Ford's mass production system and began to outcompete Ford in some ways, especially in the recognition that it was advantageous to offer more choices, such as new convenience features or cosmetic customization. Ford's sales force recognized this threat as it was developing and advised Henry Ford to respond to it, but he resisted. However, features he had seen as needless, such as electric starters (for just one example), were gradually shifting in the public's perception from unneeded luxuries to minimum requirements. (This trend would continue into the 21st Century.) The sagging market share of Model T finally forced him to admit the automotive market wanted a new Ford model. When he finally agreed to begin development of this new model, he dove into the effort with a strong focus on the mechanical aspects (and on what today is called design for manufacturability (DFM), which he had always strongly sponsored and for which the Model T production system was famous). The development, although ultimately successful, had plenty of bumps along the road. For example, the die stamping of parts from sheet steel, which the Ford company had led to new heights of development with the Model T production system, was something Henry had always been ambivalent about; it had brought success, but he felt that it was not the best choice for durability. He was determined that the new model (to become the Model A) would rely more on drop forgings than the T. He had ideas about improving the DFM of forging (to use today's terminology), but they did not pan out. Ford's engineers eventually had to convince him to back down on his insistence, lest the Model A's production expense overinflate its retail price. Given Henry's disdain for cosmetic vanity as applied to automobiles, he left the design of Model A's body work to a team led by Edsel. It was during the period of the mid-1920s to early 1930s that the limits of the first generation of mass production, epitomized by the Model T production system, became apparent. The era of "flexible mass production" had begun.